Weimar was a focal point of the German Enlightenment and home of the leading characters of the literary genre of Weimar Classicism, the writers Johann Wolfgang von Goethe and Friedrich Schiller. In the 19th century, famous composers like Franz Liszt made a music centre of Weimar and later, artists and architects like Henry van de Velde, Wassily Kandinsky, Paul Klee, Lyonel Feininger and Walter Gropius came to the city and founded the Bauhaus movement, the most important German design school of the interwar period. However, the political history of 20th-century Weimar was inconsistent: it was the place where Germany's first democratic constitution was signed after the First World War, giving its name to the Weimar Republic period in German politics (1918–1933), as well as one of the cities mythologised by the National Socialist propaganda. The period in German history from 1919 to 1933 is commonly referred to as the Weimar Republic, as the Republic's constitution was drafted here. Berlin as the capital was considered too dangerous for the National Assembly to use as a meeting place, because of its street rioting after the 1918 German Revolution. The calm and centrally located Weimar had a suitable place of assembly (the theatre), hotels and infrastructure, so it was chosen as the capital. In 1920, the federal state of Thuringia was founded by an association of eight former microstates (Saxe-Weimar-Eisenach, Saxe-Gotha, Saxe-Altenburg, Saxe-Meiningen, Schwarzburg-Rudolstadt, Schwarzburg-Sondershausen, Reuss-Gera and Reuss-Greiz) and Weimar became its capital. Due to that fact, the city experienced another period of growth. In 1919, Walter Gropius founded the Bauhaus School by a merger of the Weimar Saxon-Grand Ducal Art School with the Kunstgewerbeschule Weimar. 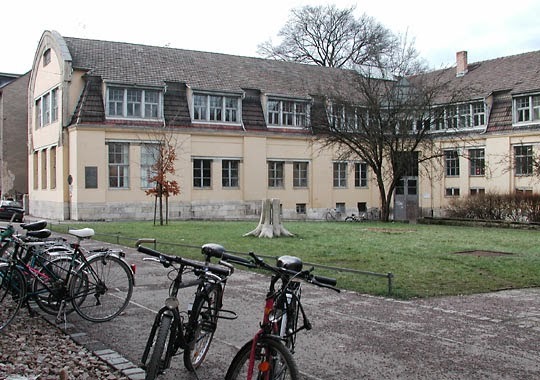 The Bauhaus in Weimar lasted from 1919 to 1925, when it moved to Dessau, after the newly elected right-wing Thuringian council put pressure on the School by withdrawing funding and forcing its teachers to quit. Many buildings in Weimar today have influences from the Bauhaus period. However, only one original Bauhaus building was constructed during 1919–1925, the Haus am Horn, now used for exhibitions and events on Bauhaus culture. The Weimar Republic era was marked by a constant conflict between progressive forces and reactionary right wing forces, the former represented by Harry Graf Kessler and the latter Adolf Bartels in Weimar. 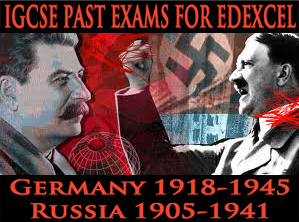 After 1929, the right wing forces prevailed and Weimar became an early centre of Nazism. Nazi Germany and World War II Buchenwald's main gate, with the slogan Jedem das Seine ("to each his own") Weimar was important to the Nazis for two reasons: first, it was where the hated Weimar Republic was founded, and second, it was a centre of German high culture during recent centuries. In 1926, the NSDAP held its party convention in Weimar. Adolf Hitler visited Weimar more than forty times prior to 1933. In 1930, Wilhelm Frick became minister for internal affairs and education in Thuringia, the first NSDAP minister in Germany. 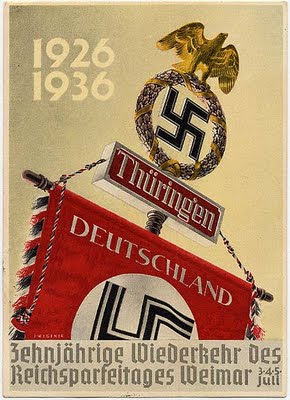 In 1932, the NSDAP came to power in Thuringia under Fritz Sauckel. 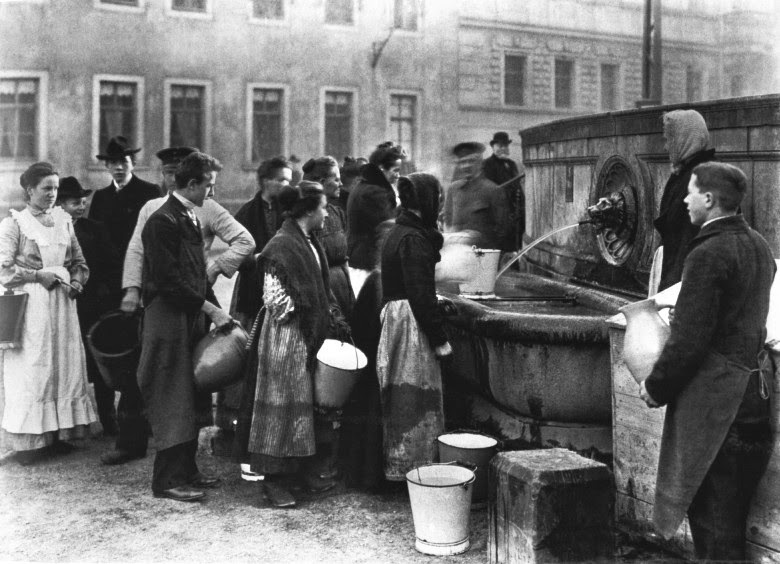 In 1933, the first Concentration Camps were established around Weimar in Nohra (the first one in Germany) and Bad Sulza. Most prisoners at this time were communists and social democrats. After Kristallnacht in 1938, harassment of Jews became more intense, so that many of them emigrated or were arrested. The Weimar Synagogue was destroyed in 1938. 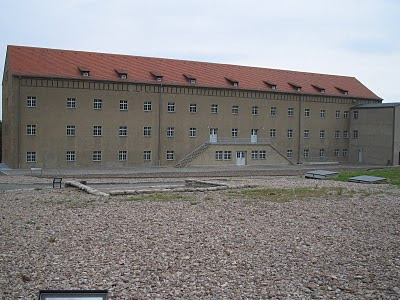 During the 1930s, the barracks in Weimar was greatly extended. One famous person serving as a soldier in Weimar was Wolfgang Borchert, later a well known poet and playwright. As it was the capital of Thuringia, the Nazis built a new Roman-fascist-style administrative centre between the city centre and the main station. This Gauforum, designed by Hermann Giesler, was the only Nazi governmental building completed outside Berlin (though there were plans for all German state capitals). Today it hosts the Thuringian State Administration. 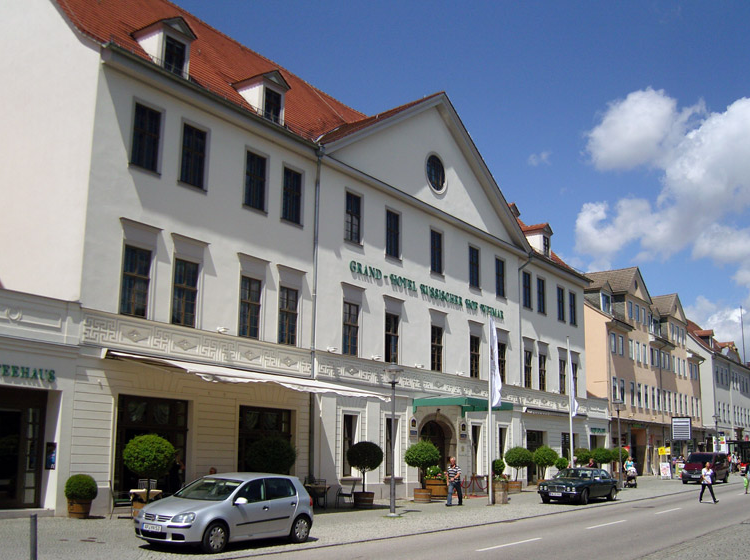 Other Giesler buildings are the "Villa Sauckel", the Governor's palace and the "Hotel Elephant" in the city centre. 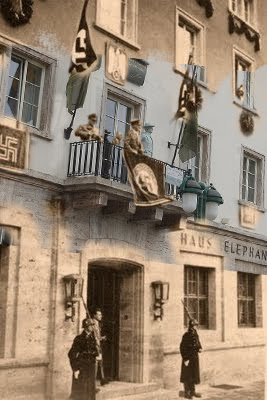 Hitler visited Weimar at least 35 times and each time stayed at the Haus Elephant. On November 27 1927, Hitler held a speech here "announcing a change of course" in the election campaigns according to Kershaw. 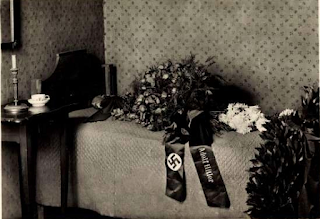 In 1932 Hitler gave interviews to the press here on January 31 and November 27 and on June 17, 1933 over a thousand Thüringian Nazi members were honoured in the presence of Hitler. The photo on the right shows Hitler from his hotel window on Reichsparteitag in 1926. In July 1926, Hitler felt strong enough to hold a mass rally of the Party at Weimar, in Thuringia, one of the few States in which he was still allowed to speak. 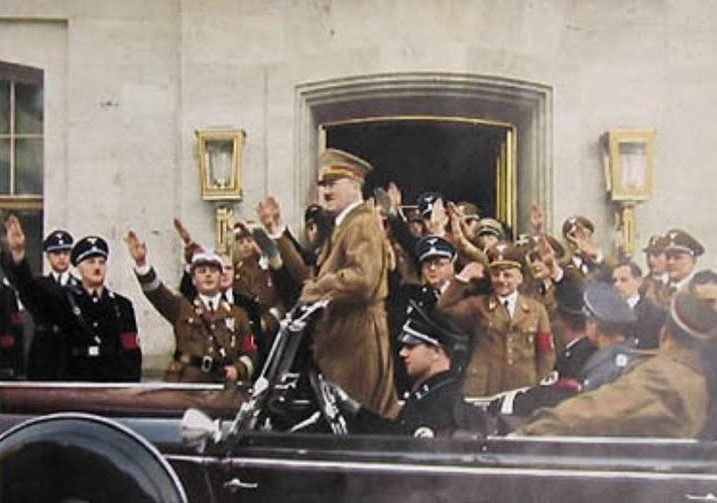 Five thousand men took part in the march past, with Hitler standing in his car and returning their salute, for the first time, with outstretched arm. 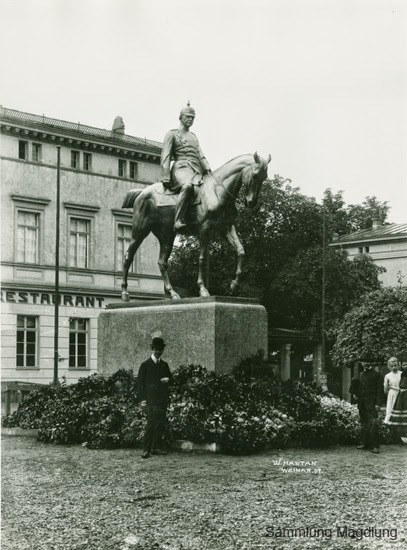 Hoffman's photographs made it all look highly impressive, and a hundred thousand copies of the Volkischer Beobachter were distributed throughout the country. 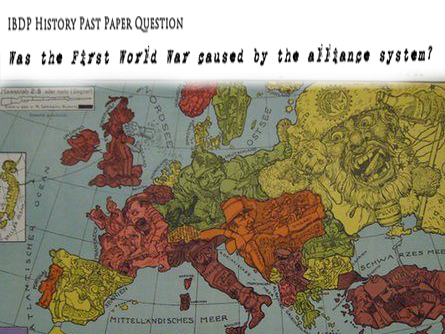 It was the first of the Reichsparteitage later to be staged, year after year, at Nuremberg. 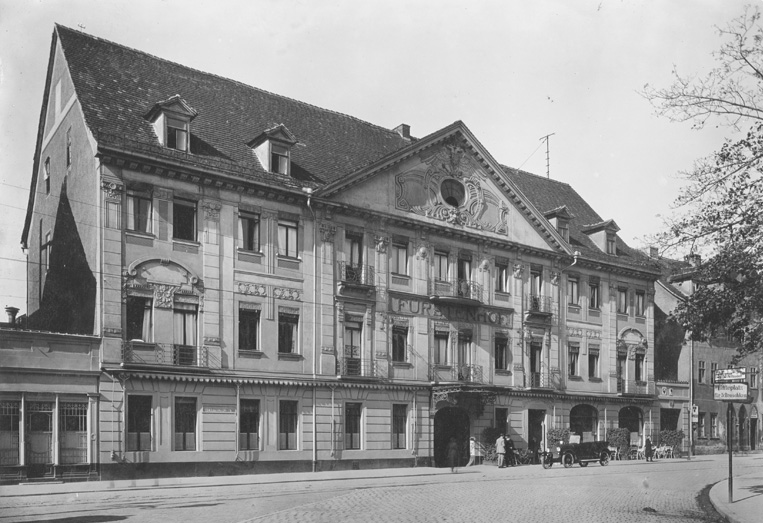 Even when he was not there, the hotel remained a popular attraction for Germans. Yet not all were satisfied with their visit. Paul Gerhard, a local reporter, tour guide and Heimat historian wrote about the experiences of a ‘poor comrade from the village’, who had visited the Elephant Hotel ‘to see where our Führer lives’ and left ‘shocked at the high drink prices’. Still, the hotel drew its share of Weimar’s guests and viewing it became one of the highlights of the city’s Nazi tourist culture. Goebbels at the entrance in 1930 and Hitler, Goering on right. The Deutsche Arbeitsfront (German Labour Front or DAF) building, shown in the foreground of the model on the left, served as the Headquarters for the amalgamated National Socialist trade union organisation which replaced the free and diverse Weimar trade unions that Hitler outlawed on 2 May 1933. Its leader was Dr. Robert Ley, who claimed its aim as 'to create a true social and productive community' by serving as a medium through which workers and owners could mutually represent their interests. Berlin was not the only city in which new building projects were designed and executed under Hitler. In Weimar, there was the enormous Gauforum on the massive square, Platz Adolf Hitlers. Hitler had made the first thrust of the spade (Spatenstich) on 4 July 1936 during the festivities to mark the tenth anniversary of the second Reich Party Rally. Heralded as the ‘fundament of a new classicism’, the Gauforum, designed by architect Hermann Giesler, was intended to serve as a new centre of National Socialist power in the state of Thuringia. 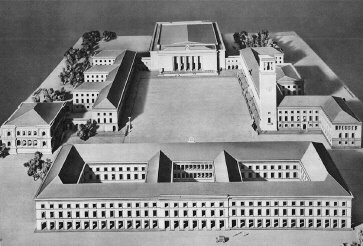 The three buildings, meant to surround a gigantic parade ground, were to house offices for the district leadership, individual divisions of the Party and the German Labour Front. An enormous meeting hall, the Hall of the National Community, was also planned. The Nazis had plans for similarly massive governmental complexes elsewhere in the Reich, but the Gauforum was the first and only on which construction actually began. The site of the Gauforum was soon added to the tourist’s itinerary, but tourism brochures often relied on photographs of architectural models since the complex was never fully completed. 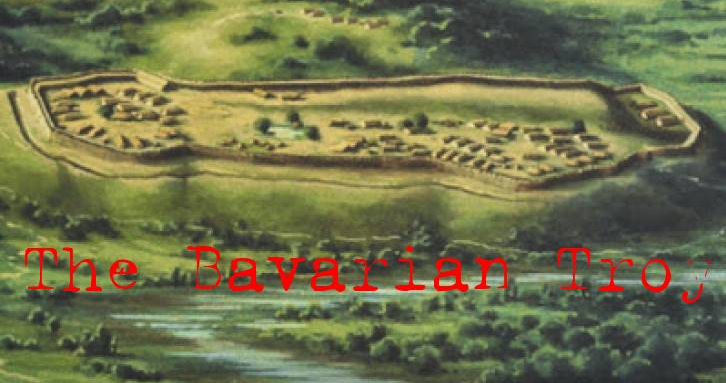 To establish the Gauforum, the northern part of the suburb of Jakobsvorstadt saw a total of 139 houses demolished and the small river Asbach be redirected. Rudolf Hess laid the foundation stone of the "hall of the national community" and the solemnly renamed the square Adolf-Hitler-Platz on May 1, 1937. At the carefully staged mass rally of 40,000 people took part. The massive investment clearly demonstrates the leadership of the NSDAP, the small town houses of the city of Weimar should appear next to it. 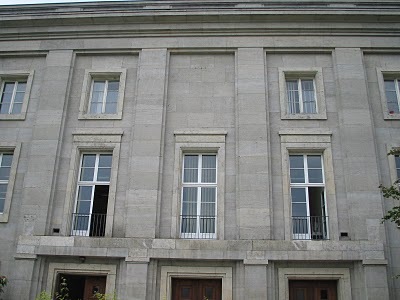 Hitler personally added the design to the "hall of the national community" with standing room for 20,000 and a bell tower which was the tallest building in Weimar. Fritz Sauckel celebrated his 45th birthday in 1939 inside. 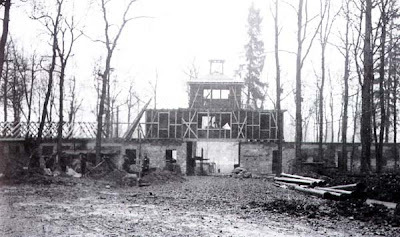 By 1943, all the buildings were completed, with the exception of the hall, in the construction work also prisoners of Buchenwald concentration camp were used. The most famous city in the hilly region, Weimar, was taken on the 12th. Buchenwald was so close to Weimar that its ancient trees had been the object of Goethe’s daily walks, and yet the Weimarer insisted that they had not known what was happening behind the barbed wire. To some extent this was true, but prisoners were used for menial tasks around the town and had been involved in the often mortal work building the new Adolf- Hitler-Platz between the old town and the railway station. Even if they had been unclear about the extent of the brutality, they knew full well that the prisoners were abused and maltreated. Shortly after the war, the square in the middle of Gauforum was used as parade ground for the Soviet Army, renamed Karl-Marx-Platz May 1, 1945. Between the 1950s and 1989 it was transformed to offices, a school and a store. Today the main building is used as a shopping mall. The Gauforum remained empty until the war ended, the place being renamed on May 1, 1945. The shell of the unfinished hall was indeed completed after the war, but only in 1967 made ​​available by installing floors. In 1976, the now barely visible concrete slat façade was installed. 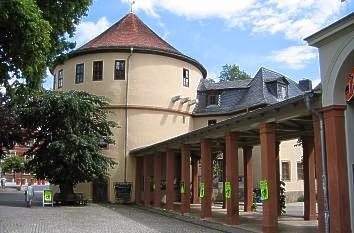 Inside the tower is a permanent exhibition is on the history of the place, the entrance is on the corner Weimarplatz / Peace Street. 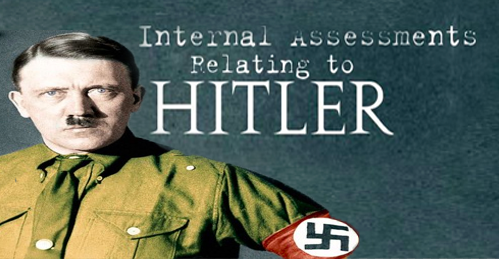 The Reichsstatthalter was used by the Nazis to gain direct control over the federal states by abolishing independent state governments and parliaments through the process of Gleichschaltung (coordination). The Reichsstatthalterei here in Weimar was the Headquarters for Gauleiter Fritz Sauckel. He served as Reich defence commissioner for the Kassel district before being appointed General Plenipotentiary for Labour Deployment on 21 March 1942, on the recommendation of Albert Speer. 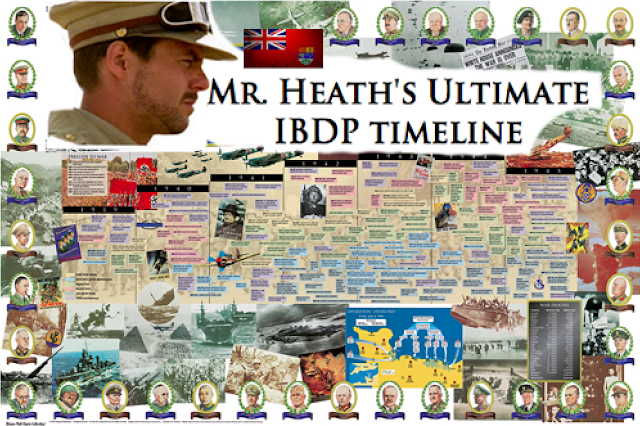 He worked directly under Hitler through the Four-Year Plan Office, directing and controlling German labour. He was found guilty at the Nuremberg War trails of war crimes and crimes against humanity and hanged on October 16, 1946. His last words were recorded as "Ich sterbe unschuldig, mein Urteil ist ungerecht. Gott beschütze Deutschland!" (I die innocent, my sentence is unjust. God protect Germany!). His superior, Albert Speer, was only given a twenty year prison term. 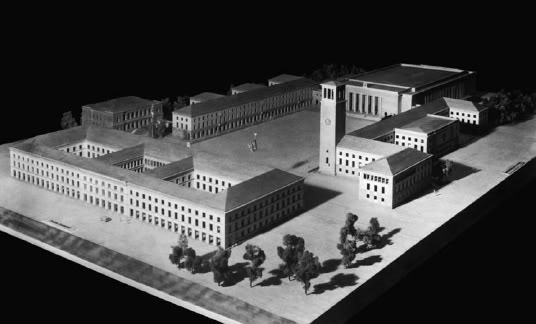 You can see the Reichsstatthalterei in this model in the centre of the background with the bell tower planned to have been considerably higher. Standing in front of the German National Theatre, where the Weimar Constitution was ratified. Founded in 1791 under Goethe's direction, it was given the name Deutsches Nationaltheater (DNT) in 1919, when the National Assembly met here and decided the constitution of the Weimar Republic. 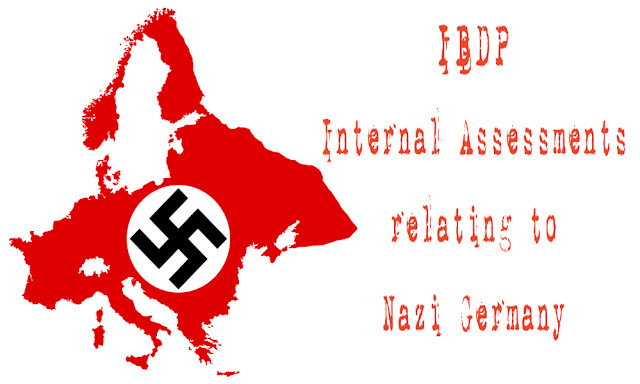 The National Socialists tried to use the DNT for their aims; in 1926 the Nazis carried out its first Reichsparteitag in the presence of Hitler. Many other party events followed. The 10th anniversary of the Reichsparteitag in 1936 was particularly successful as masses gathered in front of the theatre to cheer their "leader". During the Nazi era Hitler's confidant Hans Severus Ziegler served as its general director. 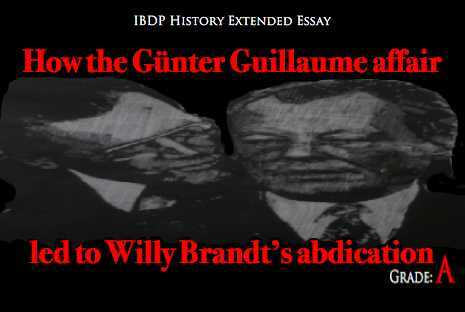 The advocate of the "blood and soil" ideology banished all pieces of Jewish and politically undesirable authors from the schedule. He also fought for the dismissal of "non-Aryan" actors and musicians. The ϟϟ wardens of the nearby Buchenwald concentration camp, on the other hand, were courted as an audience and reserved the best places in particular row C7. The DNT also enjoyed use of the ϟϟ casino in Buchenwald. Hitler, who wanted to expand the Weimar Nationaltheater into a leading stage of the German Reich, supported it not only financially but also attended numerous operatic and operetta performances. His place was specially adapted for him and decorated with a hook-and-cross covering hanging over the parapet. 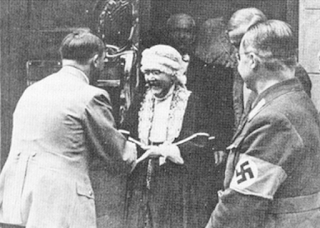 At the beginning of the 1930s the actress Emmy Sonnemann, the future wife of Hermann Goering, was among its ensemble. In September 1944 the theatre had to close and was used as armaments company of the company Siemens & Halske. During the air attack on February 9, 1945, the building had been burnt out. 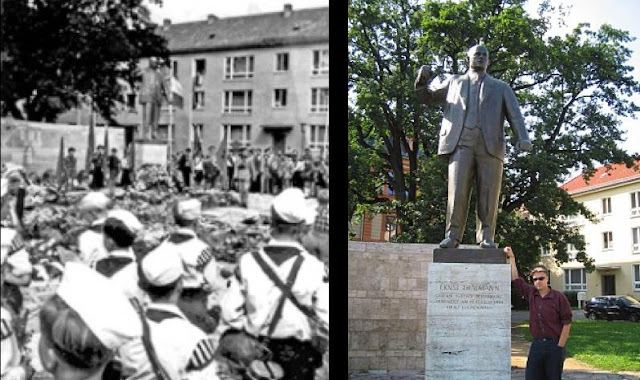 Hitler in front of the Goethe-Schiller statue. 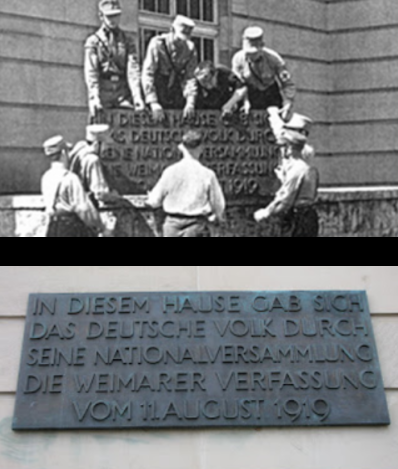 On the right is the memorial tablet designed by Walter Gropius commemorating the adoption of this first democratic constitution in Germany being removed by SA men in March 1933. A replica of the panel can be seen to the left of the entrance. 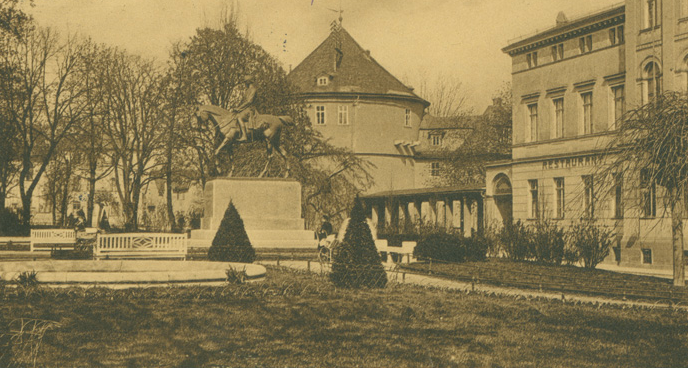 The theatre and statue of Goethe and Schiller can be seen in the background of these two photographs. Hitler outside Schiller's house in 1934 and today. In March 1932, the 100th anniversary of Johann Wolfgang von Goethe was solemnised. From the political events of the day seemingly unaffected, celebrated it the "spirit of Weimar". Thomas Mann described his stay: "Quite strangely touched the mixing of Hitlerism and Goethe Weimar is indeed a centre of Hitlerism [...] The type of the young man who decided to indefinitely walked through the city and is greeted with the Roman salute.. , dominates the city. " The anniversary also marked the start of the planned expansion of the Goethe National Museum. In 1931, architect Heinrich Tessenowstraße was appointed. He had Schinkel's Neue Wache in Berlin turned into a Reich Memorial to the fallen of the First World War and was politically controversial. Wilhelm Frick, later Reich Minister of the Interior, described him as an "essentially foreign architect". Finally, the originally rejected designs of the late architect Walter Voigt came to execution. 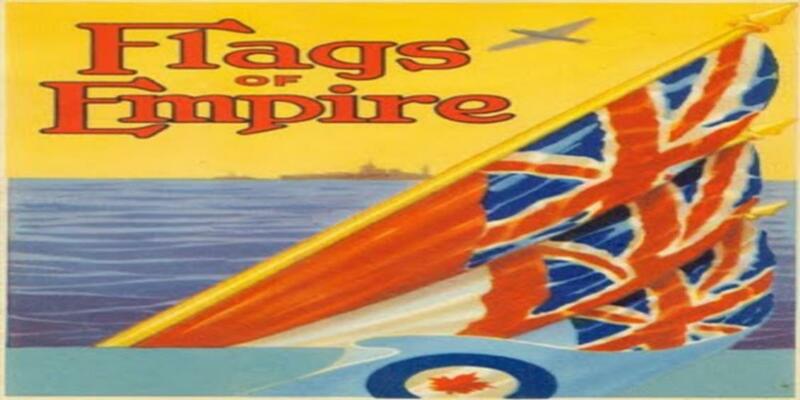 On the instructions of Hitler came more than half of the required funds from the finances of the empire. In the museum, a plaque with the inscription was made: "extension created by the generous support of leader Adolf Hitler in the third year of his reign inaugurated on Goethe's birthday, 1935." In 1941 the first heavy bombing raids were flown on German cities, and the furniture here used by Friedrich Schiller was deemed important cultural relics. The Schiller Museum was also kept open to the war-weary "national community" to suggest perseverance. 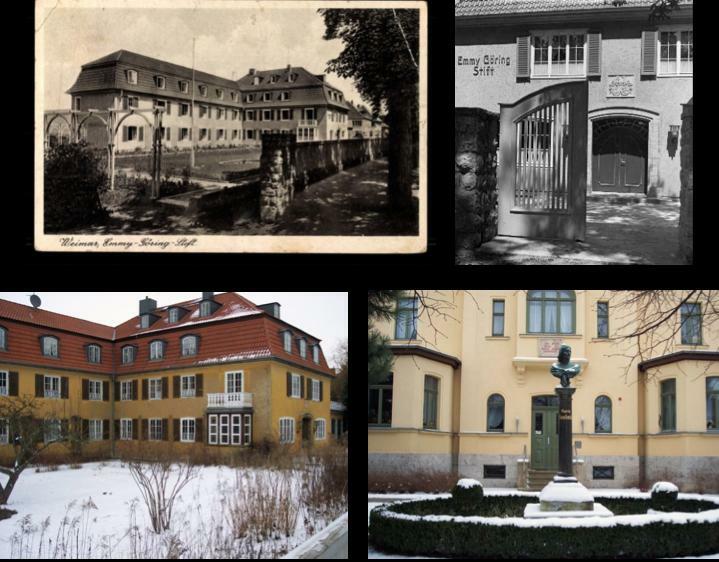 Thus on February 17 1942 a consultation on the "Protection of cultural sites, art treasures and cultural assets" adopted the measure to produce faithful copies of the museum's items whilst the originals were brought to the basement of what was left of the Nietzsche Memorial Hall. The workshops of the ϟϟ in Buchenwald concentration camp offered a pragmatic and affordable way where the inmates made forty wooden crates for storage of smaller items, as well as copies of Schiller's desk, bed, two chairs and spinet. The city government was pleased with the quality of the reproductions highly satisfied and the mayor had a affix a plaque with the following text in the Schiller House affixed: "Furniture in Schiller's work and death room are replicas of the originals now placed in safety." After the war, the original furnishings were returned to the Schiller House. In September 1934 the Prussian Ministry of Education received an angry letter from a Mr Heinrich Ludendorff: ‘As is conveyed to me by reliable sources,’ he wrote, ‘a volume of the Jewish philosopher Moses Mendelssohn has lain for years in the Schiller House in Weimar as the only book on this German poet’s writing desk in his study. ... Visitors to this room ... [have] struggled in vain for a long time to have this book removed.’ The 1930 guide to the house confirms that Mendelssohn’s ‘philosophical writings’ did indeed lie on the desk,Nazi Tourist Culture alongside a quill pen, a letter opener and a globe. 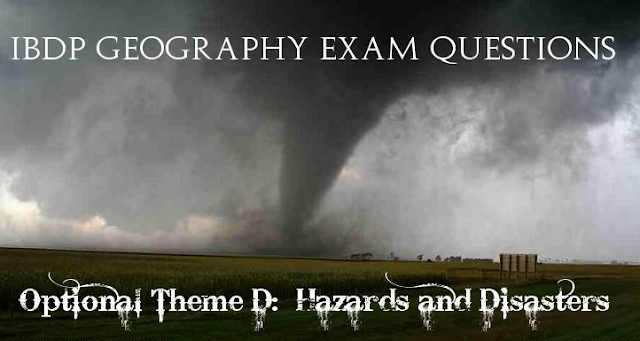 The Thuringian Minister for Education requested more information on the matter. In response, the director of the Schiller House, Professor Eduard Scheidemantel, made a moving, eloquent plea to leave the book where it was, claiming he had never heard any calls for its removal. Scheidemantel’s arguments were ignored: the book was removed and guides to the house no longer mentioned it. Guides to the Goethe House during the Nazi period remarked that the only things missing from that poet’s study, which otherwise remained in the same condition as just after his death, were ‘a few meaningless pieces, among them, several books’. It is tempting to attribute this absence to the kind of cultural cleansing that occurred at the Schiller House. Likewise, it is possible to see the ‘thorough re-arrangement’ of the rooms in the Kirms-Krackow-House, which took place in the Third Reich and which ‘freed [them] from all foreign ingredients’, in a similar light. Proof that the cultural sites of memory underwent alterations along such blatantly ideological lines in Weimar or elsewhere in Germany is difficult to obtain. But these kinds of disappearing acts are easy to detect in that other essential item of touristic equipment, the map. Fürstenplatz with the Carl August memorial, now renamed Platz der Demokratie. The Hochschule für Musik "Franz Liszt", Gelbe Schloss and Residenzschloss remain intact. The Weimarhalle flanked by Nazi flags and its current form today. Built in 1931 within just fifteen months of construction according to the designs of Max and Günther Vogeler in the style of the New Objectivity directly behind the Bertuchhaus, today's city museum in Froriepschen garden. In 1925 the Weimar-Halle Aktiengesellschaft was founded to finance the largest hall building. On the occasion of the 100th anniversary of the death of Johann Wolfgang von Goethe on March 12, 1932, the Weimarhalle was inaugurated with a "memorial service of the German Reich". The National Socialists used the Weimarhalle as the venue for their mass events. Even before the Nazis' 'seizure of power,' Hitler appeared here on March 15, 1932 for a mass rally of the NSDAP Gau Thuringia. After the war the Weimarhalle served until 1948 as the replacement venue for the destroyed German National Theater. After that, it was the scene of numerous major political events until the Weimarhalle from 1952 to 1974 became the home of Soviet officers. The photo on the left shows the market square after extensive bombing on February 9, 1945. It had been here on March 6, 1932 and January 15, 1933 that Hitler spoke, the latter occasion to nearly 10 000 people. The right shows the same tower in the background. Nearly 10,000 Jewish men were deported in the days after the Reichskristallnacht pogrom of 1938 to the Buchenwald concentration camp. They came among others from Breslau, Dresden, Frankfurt, Bielefeld, Aachen, and from all over Thuringia. With the railroad, they were transported to Weimar Central Station, where ϟϟ and auxiliary police drove through the tunnel passage and beat them. The survivor Ernst Cramer recalls: "It seemed pointless; we were herded like cattle and beaten on the wall [...], Go, Go! ' roared our tormentors, and drove us up the stairs with their batons out of the station forecourt. truck waiting there. We were crammed. soon as she appeared on fully, and more new people were beaten inside. " The abuse took place in public. The Weimar native Klaus Engelhardt reported: "It was then like wildfire in our children the message that Jews at the station, unloaded 'be'. In the early years were the most Buchenwald prisoners at the main train station, last large transports from Poland in October 1939. In the aftermath of the freight depot was used. At the eastern entrance of the main station in 1998 a memorial plaque was erected, which commemorates the arrival of the victims of the anti-Jewish pogrom in Weimar. 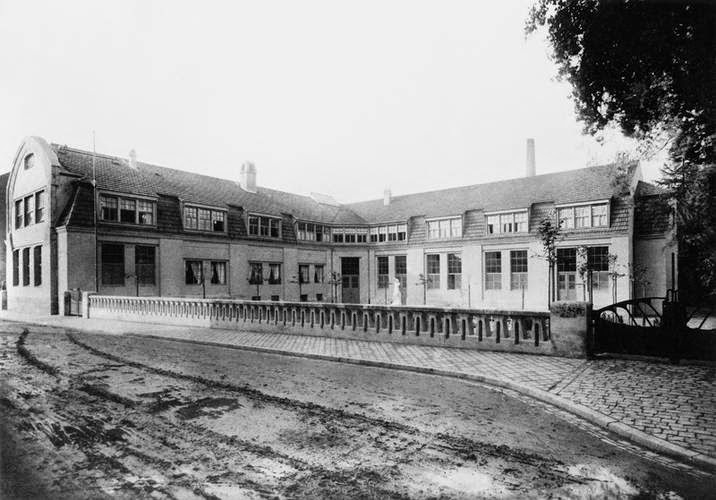 In 1936, the control centre of the Secret State Police (Gestapo) moved from the police headquarters in the former Sophie Street to the former Grand Ducal stables. 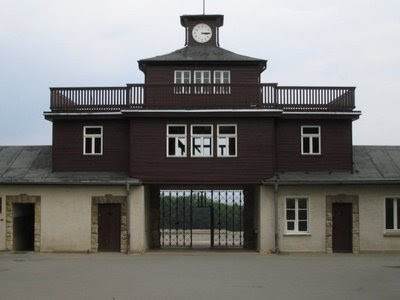 In addition to the administrative block with double insulated interrogation rooms was a Behelfsgefängnis with twelve cells in the former coach house of the royal stables, converted by concentration camp prisoners from Buchenwald. Spying, searches, arrest, torture, and statements under duress were part of the practice of authority. Through the imposition of "protective custody" she could leave the suspects admit without proof, prosecution and judgement indefinitely in a concentration camp. From May 1942, and headed the Gestapo oversaw the deportation of Jewish inhabitants of Weimar in extermination camps, the riding hall was used as a meeting place before entry to the freight depot. After the war, political prisoners of the Soviet occupation authorities and the District Court of Weimar were held in the royal stables. Since July 1951, the rooms were used for storage of files from the Provincial Archives; today it hosts the Thüringisches Hauptstaatsarchiv Weimar. In the Gestapo prison cell in the main building now houses a permanent exhibition on the history of the place. Home on Straßenseite of Fritz Sauckel the regional Kreisleiter, the political leader of the largest subdivision of the Gaue. During the war he was Reich defence commissioner for the KasselReichsverteidigungskommissar Wehrkreis IX) before being appointed General Plenipotentiary for Labour Deployment (Generalbevollmächtigter für den Arbeitseinsatz) on 21 March 1942, on the recommendation of Martin Bormann. 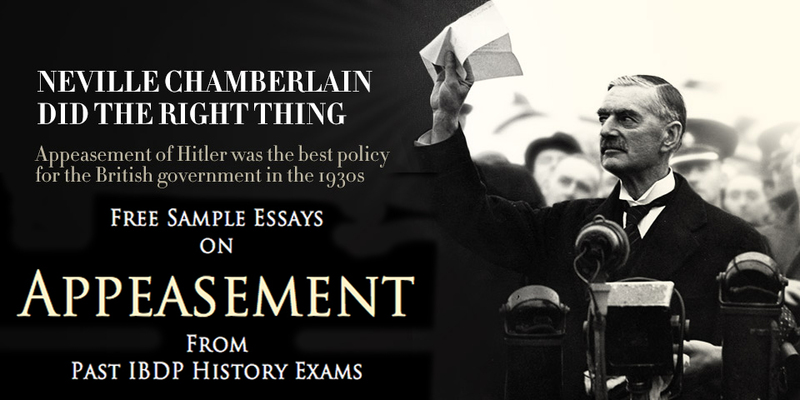 He worked directly under Hitler through the Four-Year Plan Office, directing and controlling German labour. 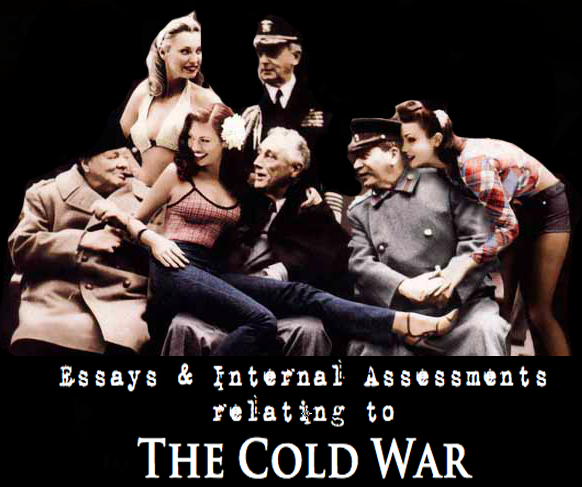 In response to increased demands, he met the requirement for manpower with people from the occupied territories. Voluntary numbers were insufficient and forced recruitment was introduced within a few months. Of the 5 million workers brought to Germany, around 200,000 came voluntarily. 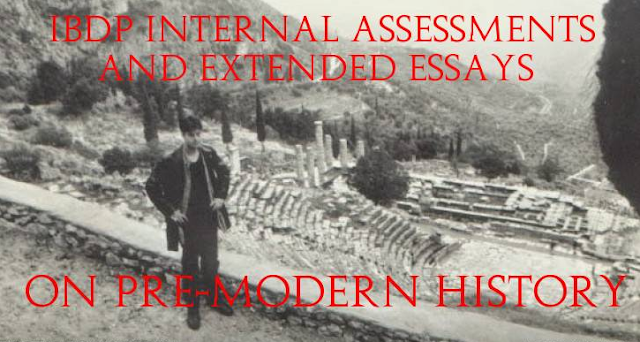 The majority of the acquired workers originated from the Eastern territories, where the methods used to gain workers were reportedly very harsh. At Nuremberg he was found guilty of war crimes and crimes against humanity, and together with a number of colleagues, he was hanged on 16 October 1946. His last words were recorded as "Ich sterbe unschuldig, mein Urteil ist ungerecht. Gott beschütze Deutschland!" (I die innocent, my sentence is unjust. God protect Germany!). 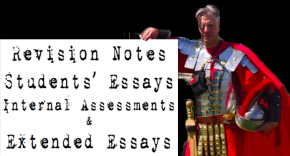 Sauckel's sentence has been much the contentious subject among historians. Sauckel's ministerial responsibilities were part of Goering's "Four Year Plan" the so-called economic solution for greater Germany. The common misconception is that Albert Speer was his direct superior on account of his demands to meet the quota of foreign labourers in his munitions divisions. This assertion is incorrect, as Goering was effectively his direct superior. It is true that Speer inherited vital economic responsibility from Goering with his assumption as minister of armaments, but the policy of acquiring foreign labour was enabled by then armaments minister Fritz Todt and Hermann Goering. Moreover, the mistreatment of dragooned prisoners was ultimately left up to the discretion of the respective commandant of the division, not Sauckel. He expressly stated in a memorandum to his delegates of foreign labour that the men and women be treated accordingly with adequate care. In this sense the mistreatment of foreign labourers falls neither, on Sauckel, or on Speer for that matter. Standing beside the Thälmann memorial. Up until 1945, the Watzdorfplatz was the site of a monument commemorating the Franco-German War of 1870-71 before being removed, with its tablets commemorating the names of the fallen soldiers from Weimar now located within the former cemetery chapel in the historic cemetery, which serves as memorials for the First World War. A "monument of the resistance movement" had been planned to cover the entire square but never realised. In its place, the first monument of the DDR was erected for Ernst Thälmann, Reichstag deputy and president of the German communist party, who was murdered in Buchenwald on Hitler's orders on August 18, 1944. It was created by Dresden sculptor Walter Arnold and shows Ernst Thälmann as a militant speaker in his time as a politician of the Weimar Republic. 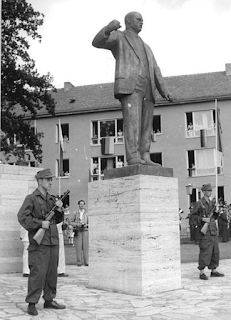 On August 17, 1958, the statue was solemnly unveiled. The wall, which bounds the square to the west, bears the inscription: "Our socialist act is growing from your sacrificial death." Symptomatic of the anti-fascism of the DDR is the history of the memorial, as the memory of all the dead of the concentration camps disappeared behind the memory of communist heroes. Since 1991, the square bears the name Buchenwaldplatz. Buchenwald Concentration Camp was built in July 1937 in the direct vicinity of Weimar, the city of German Classicism. 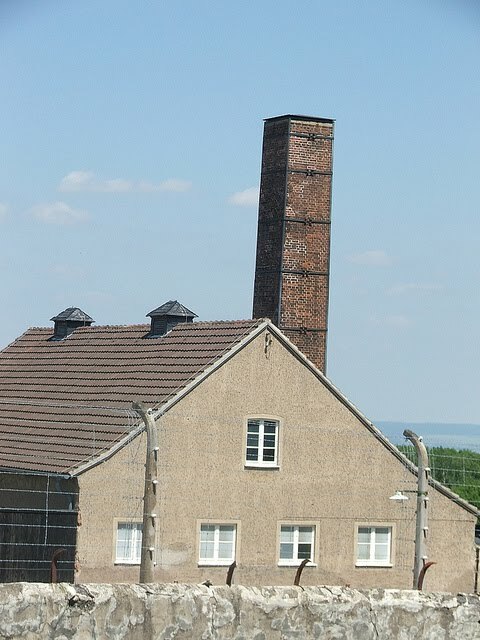 It was to this concentration camp on Ettersberg Mountain that the ϟϟ deported men, teenagers and children – political opponents to the Nazi regime, so-called asocials and criminals, homosexuals, Jehovah’s Witnesses, Jews, Sinti and Roma – who had no place in the National Socialist "people's community". Following the outbreak of World War II, the National Socialists sent people from nearly every country in Europe to Buchenwald. At the time of the camp’s liberation, ninety-five percent of its inmates were from countries outside the German Reich. Between 1937 and 1945, altogether more than 250,000 persons were imprisoned here. The inmates in the Buchenwald ”parent camp“ and its total of 136 subcamps were ruthlessly exploited. In 1944 the ϟϟ administration of Buchenwald took charge of camps in which women and girls were forced to work for the German armament industry. Some 56,000 human beings met their deaths in Buchenwald and its subcamps; they were killed, they starved to death, they died of illness or as victims of medical experiments. 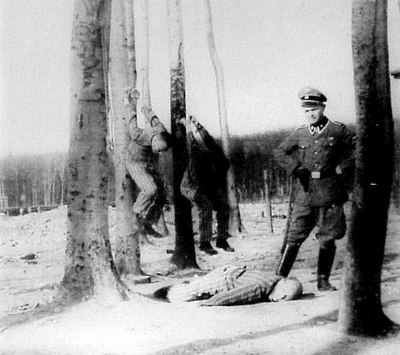 Many inmates, among them more than 8,000 Soviet prisoners of war, were systematically murdered by the ϟϟ. 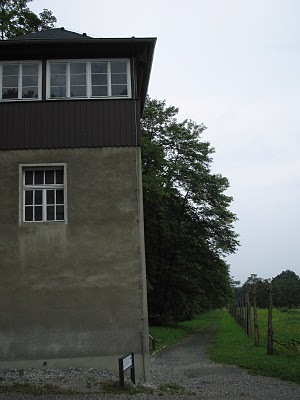 This served as the main watchtower; the wings housed detention cells (the Bunker) – where ϟϟ gaolers tortured and murdered inmates on behalf of the Gestapo and the camp commander – as well as offices of the ϟϟ camp command. The camp gate with the bizarre inscription Jedem das Seine (to each his own) formed the boundary between the ϟϟ area and the inmates' camp. 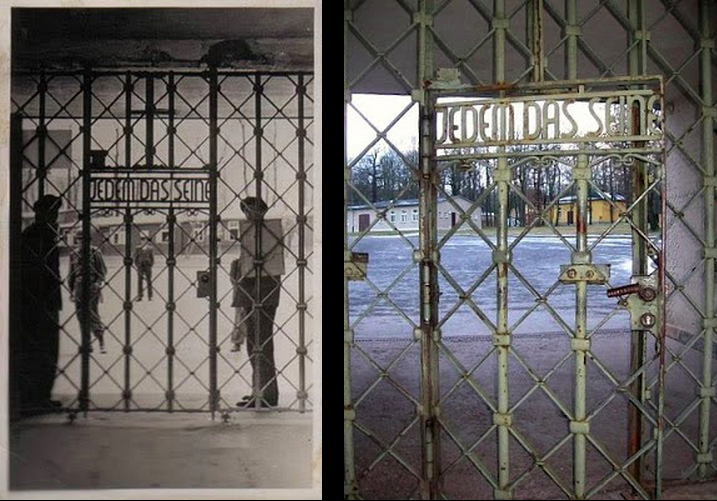 Highly recommended 15 minute BBC podcast in which Neil MacGregor visits Buchenwald, one of the earliest and largest concentration camps and speaks for himself about this very gate and its relationship with German history. Buchenwald Concentration Camp was involved in the Nazi killing policies through the practise of inmate selection and deportation to Nazi extermination camps: Buchenwald was the point of departure for extermination transports of children and sick inmates to Auschwitz, and when the ϟϟ cleared the camps in the east in early 1945, many mass transports went to Buchenwald. 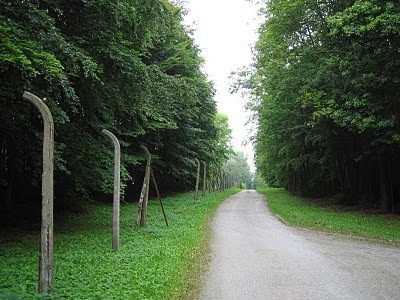 Shortly before the end of the war, the ϟϟ attempted to ”evacuate“ Buchenwald Concentration Camp as well, and forced 28,000 inmates to set out on ”death marches“. 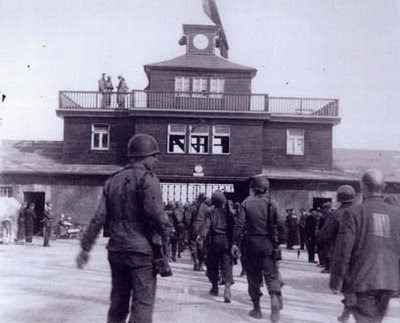 When the Third U.S. Army reached Buchenwald on 11 April 1945, the ϟϟ fled, and inmates of the secret resistance organisation opened the camp. Approximately 21,000 inmates, including more than 900 children and teenagers, were liberated. In July 1945, when the American troops withdrew from Thuringia, Red Army units quickly took their place. The living conditions in Buchenwald Special Camp were extremely inhumane. Altogether, more than 7,100 persons died there. 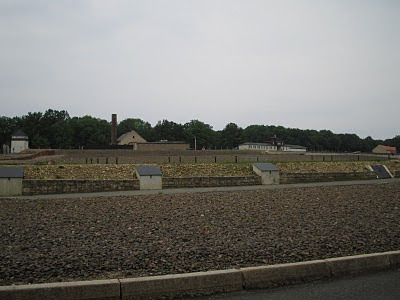 The dead were buried in mass graves to the north of the camp and in the vicinity of the Buchenwald railway station. 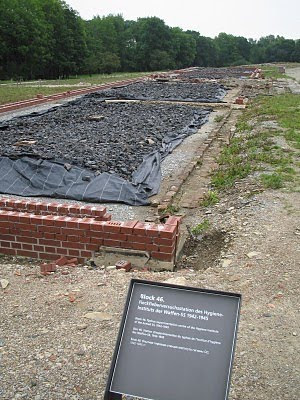 The Little Camp Memorial was developed in 2001/2002 as a joint project of the United States Commission for the Preservation of America's Heritage Abroad and the Buchenwald Memorial. It was financed by donations from the U.S. as well as funds from the Federal Republic of Germany and the Free State of Thuringia. A survivor of Buchenwald Concentration Camp, the New York architect Stephen B. Jacobs, designed the memorial. He had been sent to Buchenwald from Auschwitz with his father and brother in early 1945 and committed to the Little Camp. The Allies were slow to liberate the Little Camp. The stench was appalling. They found a number of children there when they finally braved it, including a three-year-old boy. The inmates died in large numbers even after the Americans began to feed them. 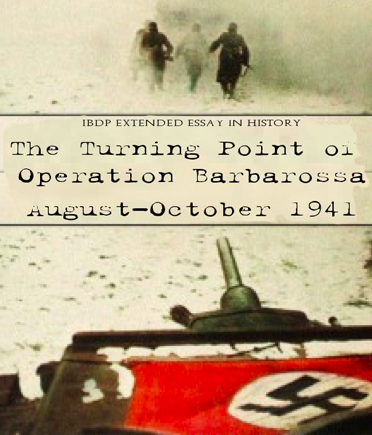 The liberators learned that they could function only by repressing all emotion. On 16 April George Patton decided that the inhabitants of Weimar should know what had been happening on the Ettersberg. His men made a thousand or so inhabitants line up in the Paulinenstrasse and marched them off to the camp a kilometre away. Among them were some of the Nazi bigwigs of the city. American cameramen were on hand to film their reactions. The Americans wanted the full propaganda effect, and news of the site-inspection spread as far as Vienna. On the way to the camp there was much amused talk, particularly from the women and girls dressed for the occasion in their last finery. They showed no sign of knowing what to expect. Their cheerful mood vanished when they saw the heaps of bodies covered with quick-lime. Women began to weep and faint. The men covered their faces and turned their heads away. Many of them huddled together for comfort. One of the inmates who had been spared Hitler’s order to murder the last inhabitants of the camp was Imre Kertész, the Hungarian writer, then aged fifteen. He remembered the scene: the Americans had given him some chewing gum, which he belaboured with his jaw while he gazed lazily from the typhus isolation huts to the mass graves in the distance. 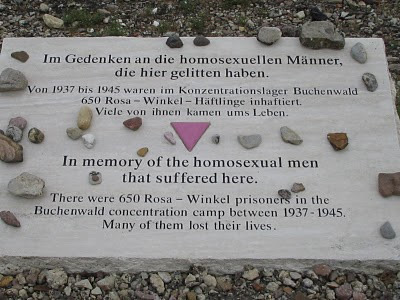 Inaugurated in 2006, a memorial stone on the site of former Block 45 commemorates the 650 "pink-triangle inmates" imprisoned in Buchenwald Concentration Camp between 1937 and 1945. One in three of their number died here. The photo on the left shows ϟϟ-Ustuf Kurt Franz punishing inmates at Buchenwald whilst the photo I took on the right shows a replica on the site symbolising the means Nazis used to torture inmates; the cart would be used for the transport of stones from the quarry, and prisoners would hang by their wrists from the hanging post with their hands tied behind their backs. Behind can be seen the crematorium chimney. 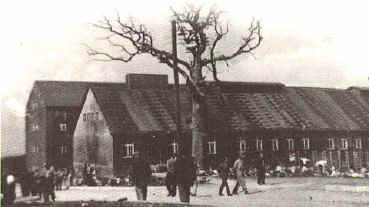 An old oak tree on the camp grounds, called the ”Goethe Oak“ by the inmates. Felled in 1944 when it caught fire from flying sparks following the bombardment of the factory area by the Allies; stump preserved. In July 1937, the ϟϟ brought inmates from the camp at Sachsenhausen to clear 370 acres of forest above the town which, as the home of Goethe and his meeting place with Schiller, symbolises classical German culture. The Nazis spared one magnificent oak, known to be a favourite of Goethe and his love Charlotte von Stein, and made it the centre of a concentration camp built to imprison and work to death Hitler's opponents and victims.' The irony was not lost on people of the time. In May 1939, just before his death, the Austrian Jewish emigre novelist and journalist Joseph Roth devoted an article to the "Goethe Oak": "Symbolism has never been as cheap as it is today. 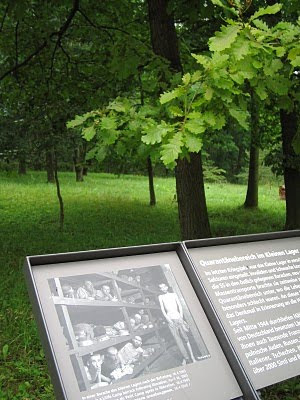 Between the laundry and the kitchen [in the camp] stands the oak tree of Madam von Stein and Goethe-and as such it is a protected historical monument. Every day the prisoners of this concentration camp pass by this oak tree, or rather: they are made to pass by it." Strangely, we did not "feel" the victory. There were no joyous embraces, no shouts or songs to mark our happiness, for that word was meaningless to us. We were not happy. 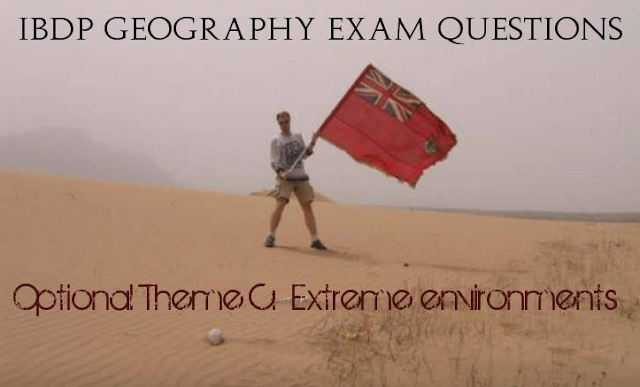 We wondered whether we ever would be ... 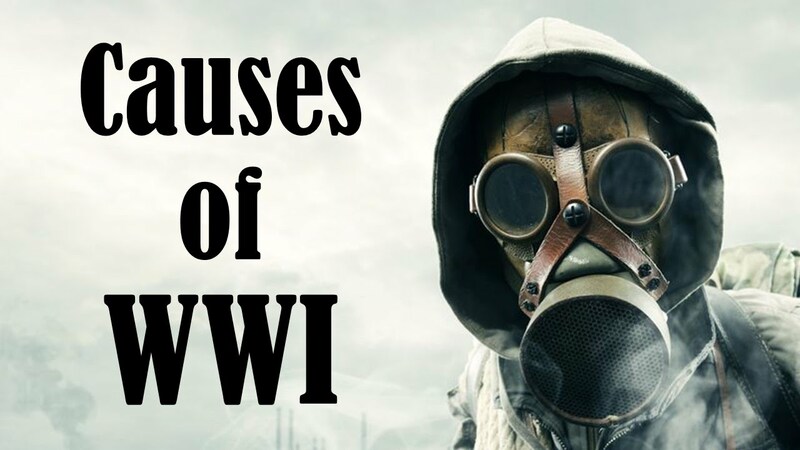 Yes, Hitler lost the war, but we didn't win it. We mourned too many dead to speak of victory. 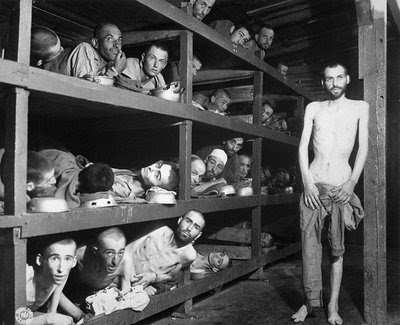 This picture shows several inmates of the Buchenwald camp inside their barracks. This is just an example of the cruelty of their living situations. At first, Buchenwald was created as a detention camp. There were three main areas, a large camp for the prisoners who were considered political dissidents; a small camp that was called a quarantine camp, and tented section for the prisoners arriving from Poland. As the War progressed, the inmates were forced to engage in the production of arms at the nearby Gustloff factory and at the quarries. The first prisoners were forced to take part in both the creation and the maintenance of their own systems of torture and oppression, building the road, the railway line and the extensive barracks, interrogation chambers and crematoria. 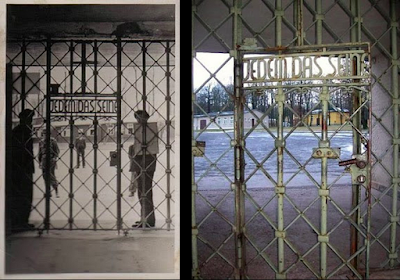 Unlike the other camps, Buchenwald was not a termination camp. It was a labour camp, if people died, it was because they could not withstand the terrible conditions of work, or because they tried to escape from the camp and were either torn to pieces by the guard dogs, or shot in the woods. Between l937 and l945, more than 250,000 of them were held prisoners, 50,000 of them died here. Johnson,Eric A.. Nazi Terror: The Gestapo, Jews, and ordinary Germans. New York, New York: Basic Books, 1999. The reconstructed barracks at the site looks almost the same as the dimensions used for the barracks used at the Dachau Refugee Camp I take my students from the Bavarian International School to every Tuesday for their CAS programme. In the crematorium courtyard, the citizens of Weimar are confronted by U.S soldiers with the corpses found in Buchenwald concentration camp. It was the first photo of the Buchenwald camp to be published. Life photographer Margaret Bourke-White was with General George Patton’s troops when they liberated the Buchenwald concentration camps. Forty-three thousand people had been murdered there. 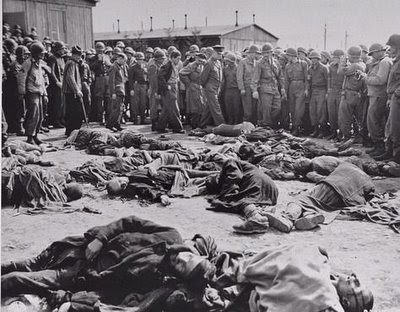 Patton was so outraged that he ordered his men to march German civilians through the camp so that they could see, with their own eyes, what really happened to innocent people in these horrible “death camps” and so they could see what their own nation had wrought. Bourke-White’s pictures carried the horrible images to the world. In America, the pictures proved that reports of the Nazi’s methodical extermination of the Jews were true, and the country began a long process of rethinking its behaviour, such as the decision not to bomb the camps. Bourke-White said, "I saw and photographed the piles of naked, lifeless bodies, the human skeletons in furnaces, the living skeletons who would die the next day... and tattooed skin for lampshades. Using the camera was almost a relief. 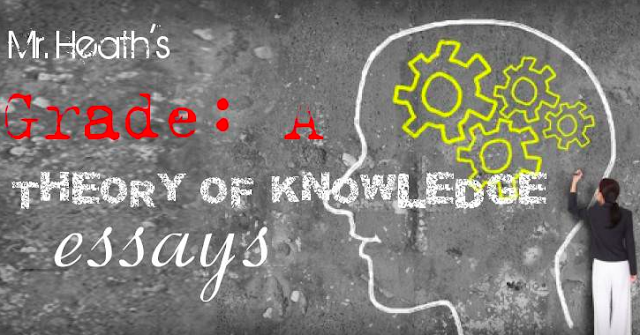 It interposed a slight barrier between myself and the horror in front of me." LIFE published in their May 7, 1945 issue many photographs of these atrocities, saying, "Dead men will have indeed died in vain if live men refuse to look at them." Landsberg, Alison. "America, the Holocaust, and the Mass Culture of Memory: Toward a Radical Politics of Empathy." New German Critique 71 (1997): 63-86. Watchtower and crematorium. The crematorium, which was completed in 1940, had a dissecting room and a pathology for breaking out gold teeth next to the combustion room in the cellar. The first incinerators were supplied by the Topf & Söhne company in Erfurt in December 1939. 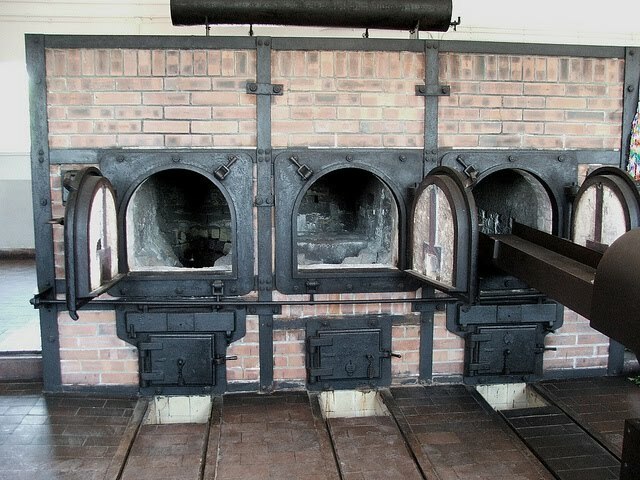 By the spring of 1941, more ovens had been delivered and installed by the company. Many inmates were executed at the wall hooks in the basement of the crematorium. 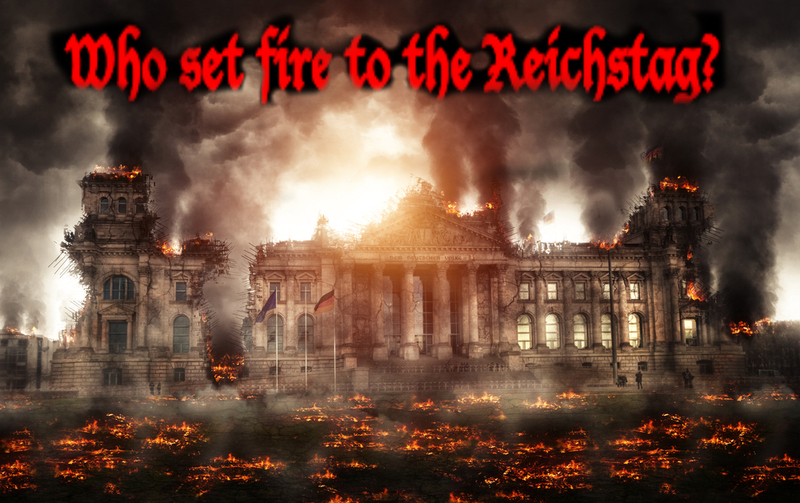 As one of the most prominent victims here on the night of August 17 to 18 1944 the Reichstag deputy and KPD Chairman Ernst Thalmann was shot at the entrance to the furnace room on direct orders of Adolf Hitler . Prisoners were treated by inmates in the inmate hospital. However, trained doctors were forbidden to practice. The infirmary was the central place of murder by lethal injection by ϟϟ doctors. But it was also a place of internal camp resistance, which included the labour statistics. This was part of the camp administration and was of particular concern of the inmates. Here it was possible for the resistance to change the lists for labour assignments and transports to extermination camps . These metal posts are not commemorating what the Germans did to their prisoners, but rather to Germans killed by Soviets who had taken over the running of the KZ after the liberation of the concentration camp when the Soviet military administration took over the camp and used it from 1945 to 1950 under the name " special camp No. 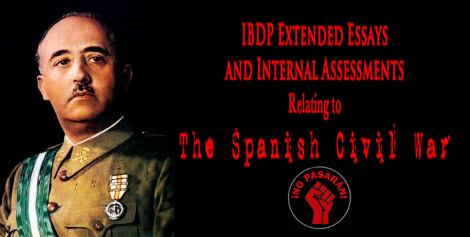 2 " as an internment camp. 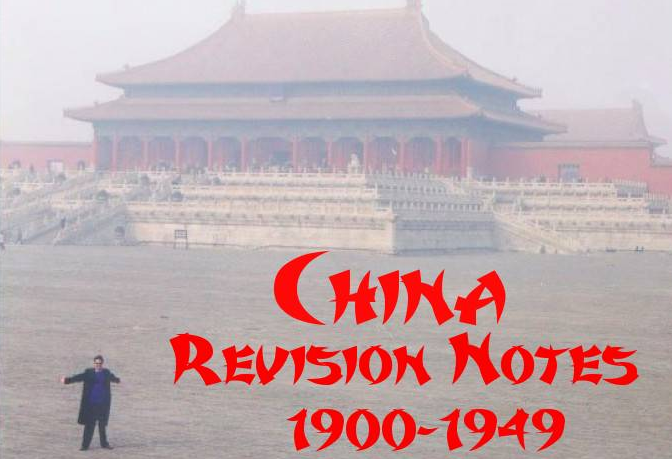 During this period, more than 7,000 people died. 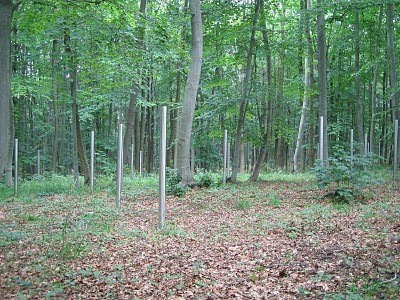 In 1989 the public learned of the existence of anonymous Soviet special camp graves in areas adjacent to the camp grounds. These graveyards, located to the north of the camp and in the vicinity of the railway station, were then marked with steel stelae and landscaped as forest cemeteries. The small mass graves found in the forest are spread over two cemeteries, one with 850, the other 250 with metal stelae, so that each stele represents about five to seven deaths, the average daily death toll during the entire time of the special camp. Near the stelae, an exhibition building with exhibits for the special camp No. 2 was erected. 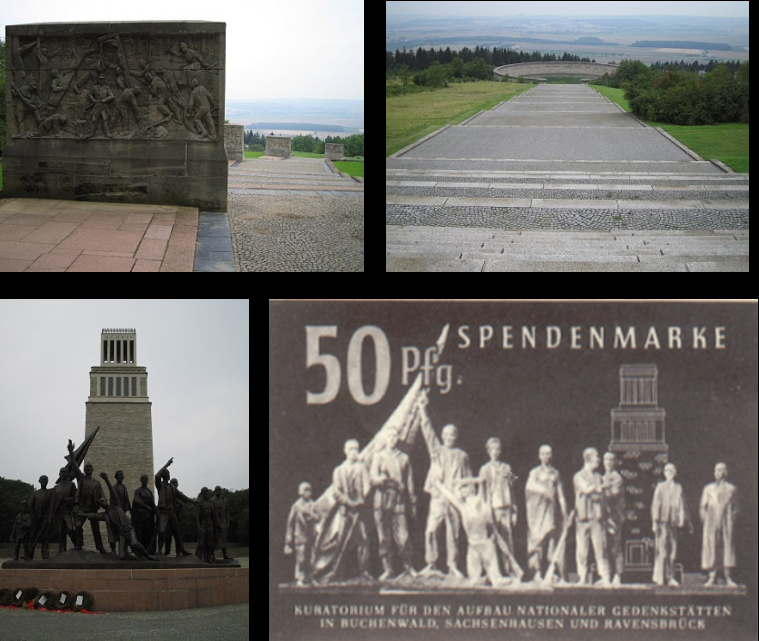 The documentation also includes the transition from the Buchenwald concentration camp to the Soviet special camp. The memorial erected the first cross in the graveyard in February 1990. The site has since become an individual place of mourning with crosses and commemorative stones. Memorials to German victims from the time the Soviets ran the camp, 1945-1950. Their detention had been preceded by interrogations, often under torture . If there were any evidence suspicious of the Soviet security forces, prosecutions followed before Soviet tribunals with severe sentences and detention in prisons or deportation to Siberia . The rest were detained in the special camps. Thus, the special camps were increasingly used for the internment of alleged Nazis, followers and alleged war criminals. According to the Stalinist rule of terror against dissenters, more and more social democrats , peasants, "Junker" and other alleged or actual opponents of the developing SED regime were interned in the period from 1945 to 1950, including former inmates of the former concentration camp and arbitrarily denounced , the cooperation or sympathy with the West suspects and young people (about 5%). 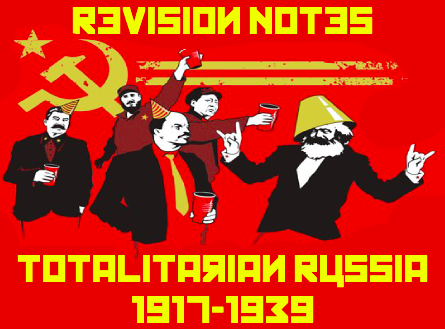 The rulers were also concerned with the persecution of bourgeois outcasts, who were to be eliminated for the purpose of enforcing the workers 'and peasants' state. First, prisoners from Arnstadt , Erfurt , Jena , Torgau and Weimar were taken to the special camp. At the end of 1945, 3,000 people were trapped in Buchenwald; In January 1946, 4,000 inmates from the camp Landsberg (Warthe) and on April 3 and 7, 1947 another 4015 from the special camp Jamlitz were added. Many other inmates had already passed through other camps of the NKVD, such as Ketschendorf , Mühlberg / Elbe or Bautzen , before they arrived in Buchenwald, where they were subjected to interrogation and torture immediately after their arrest. Buchenwald was not a labour camp after 1945. Apart from some activities for the internal operation of the camp - including temporary maintenance measures on the Buchenwald railway built by concentration camp inmates and operated by the Soviets - one feature of the camp was the absence of any employment. This too, and the total isolation from the outside world and relatives who did not know where the arrested relative was, added to the psychological burden on the detainees. In November 1945, an "isolator" was set up with completely dark single cells. On Christmas Day 1945, all the prisoners were struck off the bread rations. Altogether about 28,000 people were imprisoned in the special Buchenwald camp, of which about 1,000 were women, as well as some children born in Buchenwald and other camps. More than 7,000 people were killed by the inhumane storage conditions, especially by completely inadequate nutrition and untreated secondary diseases such as dystrophy , dysentery , tuberculosis and typhus and were buried in mass graves on the edge of the camp. On the left is the camp fence and a watchtower – of the original twenty-two watchtowers, two remain intact (not open to the public). 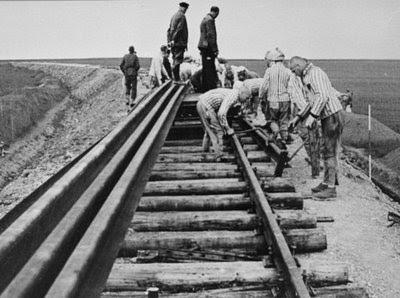 This railway line was built by inmates in 1943 for the armament plants next to the camp and by the following year brought people from all of the many German-occupied countries to Buchenwald Concentration Camp and from there to labour sites in the sub-camps. This part of the old railway line has been visible again since 2007 through the "Buchenwaldbahn memorial path" which begins shortly after the "blood road" and ends at the loading dock of the concentration camp, next to the former Gustloff works. It has a length of just under three miles. The zoo area for ϟϟ staff. The Zoo at Buchenwald was within the administrative part of the camp, although the prisoners would have been able to see some of it. 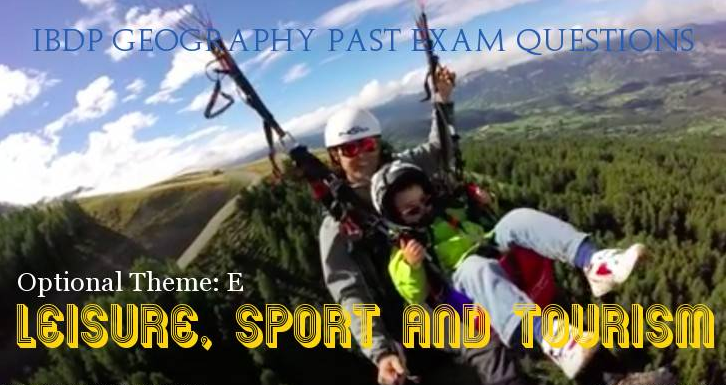 Its purpose was for the the amusement of the ϟϟ officials, as was the facilities provided for horse riding. 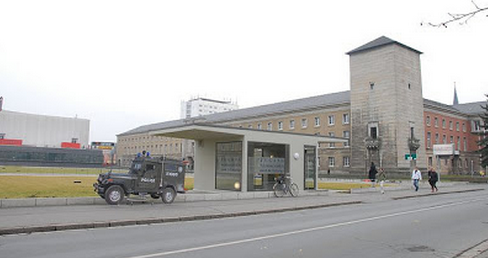 It also acted a showplace for when higher Nazi officials, such as Himmler, came to the camp. This memorial was built between 1954 and 1958. Its concept is based on the motto "By dying and fighting to victory"and intends that the visitor should be shown away from death. The entire monumental structure is in the form of socialist realism. From the entrance gate, a staircase leads down the hill. The staircase is flanked by seven stelae symbolising the seven years of existence of the concentration camp. The stelae were designed and created by the sculptors René Graetz , Waldemar Grzimek and Hans Kies. On the back of the stelae are texts by Johannes R. Becher. At the bottom of the stairs are funeral funers. Shortly before the liberation of the concentration camp in 1945, the ϟϟ had about 3,000 dead buried in these depressions. 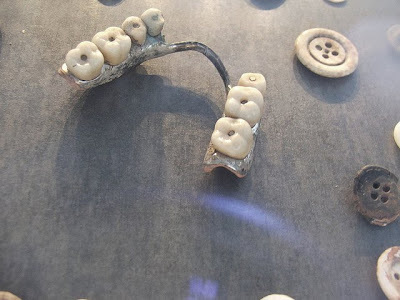 Of the funerary funers, three in the form of ring graves became part of the memorial. The ring graves are connected by which is flanked by brick pylons with the names of 18 nations imprisoned in the Buchenwald concentration camp. Upwards form the conclusion of the pylons forged fire bowls. The symbolism picks up on April 19, 1945 by survivors on the former roll call built obelisk with a wooden fire bowl and engraved, admonishing engraving on. A wide paved staircase leads to the bell tower Tower of Liberty. Inside the tower is a bronze plate, under the earth and ashes from other concentration camps lie. The Buchenwald bell in the tower tower was designed by Franz Schilling , artistically designed by Waldemar Grzimek. The crowning of the tower is a work of blacksmithing and was designed by Fritz Kühn. 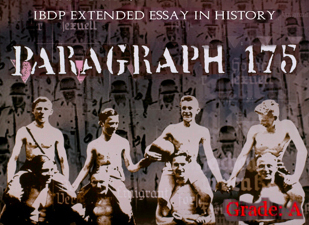 In front of the bell tower stands a group of figures designed by Fritz Cremer in collaboration with Bertolt Brecht in honour of the resistance struggle in the camp. When Brecht was asked by Cremer for advice on the design of the memorial, Brecht suggested erecting "an uneven number of giant men, liberated prisoners facing southwest [the direction of the Federal Republic] in the direction of the as yet not liberated regions. 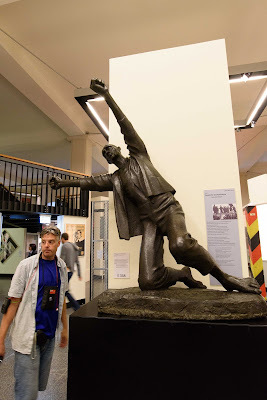 It was cast from 1957-1958 in the art foundry Lauchhammercast in bronze and restored in 2002-2005; I'm standing beside a working model in the German History Museum in Berlin. In their conception, the group of figures is based directly on "The Citizens of Calais" by Auguste Rodin and was the first German monument to the victims of fascism. The centerpiece of the memorial, Die befreiten Haftlinge (The liberated prisoners), it depicts a boy and ten men, one of them carrying a gun and another waving a flag. There was little room in this history for the varied individual lives of either prisoners or guards. There was little room for the experience of Buchenwald. 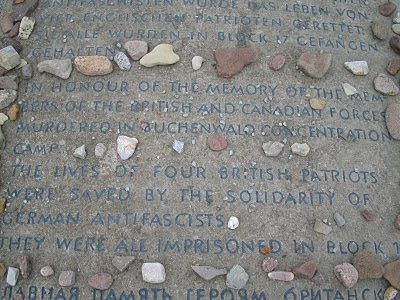 This was nowhere more apparent than in the way in which the site of the Buchenwald memorial, more than a kilometre removed from where the concentration camp had been, was privileged over the site of the actual camp. All barracks were pulled down; in fact, initially plans existed to reforest the area of the camp. Until the fall of the Berlin Wall in 1989, the exhibit at the Buchenwald museum told almost exclusively of the underground political organization in the camp and the role of the Soviet army in the fight against National Socialism.' Visitors (four hundred thousand a year during the time of the DDR) learned that the SED regime was born of the heroic activities of political resisters in the camp-the original and true victims of the Nazi persecution. 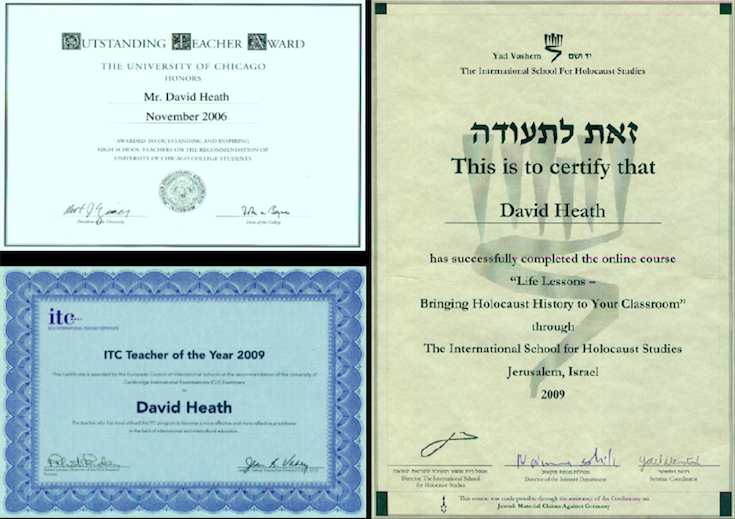 Only leaders of the Left received significant mention as individuals. At the courtyard of the crematorium, a bronze column and a plaque indicated that Ernst Thalmann, a leader of the German Communist Party who became the principal hero of the DDR, was murdered there. Other victims of Nazi state terror (Jews, homosexuals, Christians, conservative resisters, the physically and mentally handicapped, Jehovah's Witnesses, Gypsies) remained in the background. 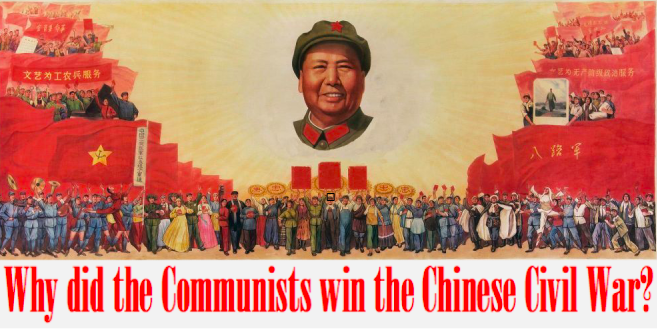 In the DDR's interpretation of history, the Third Reich had waged a class war to enslave the working class and destroy Communism and the Soviet Union in the interest of German capital; the systematic murder of the Jews was considered a secondary consequence of the Nazis' repression of the Communist resistance. The so-called Straße der Nationen (Avenue of Nations), the construction of which got under way in 1954 as per DDR government resolution. By 1958, a monumental national monument had been erected on the southern slope of the Ettersberg. 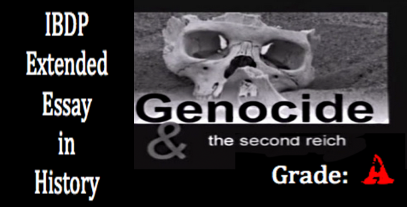 Three large mass graves were incorporated into the design. The facility was based on a didactic concept intended to guide the visitor on a path from death to life: leading through the camp from the crematorium, the path continues down to the graves and finally uphill again to the bell tower, a symbol of freedom and light. Ever since Buchenwald, the Nazi concentration camp, was build on Ettersberg (Etters Hill) in the vicinity of Weimar—almost within view of the sites of German classicism—the name of the city has become linked with the darkest hours of Germany's history and the betrayal of the humanistic ideals and values, conceived in Weimar. 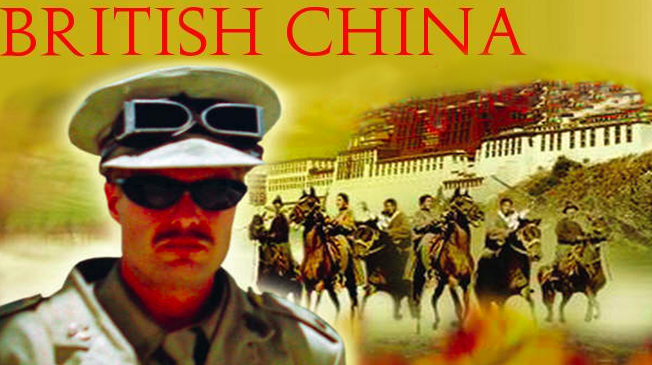 This was a disgraceful injustice which had an infamous sequel, when the Soviets ran their own detention camp on the same site from 1946-1952 [sic]. 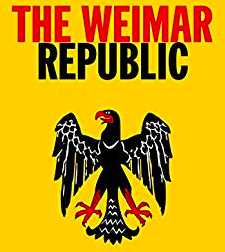 Therefore, Weimar is quite possibly unique in representing the fateful ambivalence and the Janus-faced character of German history. Like no other place, Weimar raises the question of whether a humanistic culture is strong enough to resist all forms of political barbarism. In a time of newly arising antagonisms in Europe, of political fundamental ism and national egotism, Weimar presents itself as a place of calm reflection and thoughtfulness, and as a source of humanitarian visions for the next millennium.